The construction industry has been undergoing a disruption. It is indeed a revolution with no potential adverse effects. The entire transformation is a positive change, something that the construction industry has largely resisted for a long time. Contrary to what some people may believe, the construction industry has always been one of the slowest adapters of new technologies. While heavy machinery and equipment’s have always undergone timely evolution, the overall modus operandi of most in the industry has remained unchanged. That is being completely revolutionized by artificial intelligence, the internet of things and augmented reality. Machine learning, big data, blockchain, self improving algorithms, virtual reality, augmented reality and the internet of things are transforming most industries. These technologies are making workplaces and operations safer, more efficient and effective, steadfast and accurate, reliable and sustainable. The construction industry has always tried to deal with some constant challenges, such as missing deadlines, skyrocketing costs, shortage of labor, strikes and daunting factors beyond human control such as inclement weather. Artificial intelligence is affecting most of these elements and is simplifying entire constructions. One of the most effective ways artificial intelligence is revolutionizing the construction industry is planning. A.I. is powering surveys, risk management, architecture and design, safety policies, ideation and the actual planning that will go into effect when the construction begins. Infrastructure is the bedrock of modern societies. Despite the quintessential need for infrastructure, the construction industry has been a laggard and has often failed to meet expectations. Delays, anticipated and unanticipated, different kinds of crises, flaws in planning or execution, quality of construction including the grades of materials and accuracy or impeccability have been some usual problems. Many of these issues are being proactively solved by artificial intelligence. Artificial industry is being used by architects, engineers and project managers to work on blueprints. The technology facilitates unprecedented collaboration. Professionals are more likely to be on the same page and attaining unanimity in cases of conflicting opinions is much easier now, especially when working with a professional database management service provider to keep the connected network working smoothly. Artificial intelligence can use preset facts or information to work on almost everything. It can use land details and suggest viable designs. It can work within a defined ambit to come up with alternatives. Artificial intelligence is effective in creating generative design. It can assess pros and cons of chosen designs or blueprints and suggest the best one. Artificial intelligence can simplify every integral aspect of planning. It can also lay out detailed construction plans that can be considered. Project managers can compare plans or let algorithms do the job. Such plans are more pragmatic and they can factor in room for error or unanticipated delays. Impeccable planning can prevent cost overruns, avoid delays and ensure accuracy of the whole process of construction. If infrastructure needs to be developed in a steadfast manner and holdups have to be expedited then the construction industry will need to make more use of artificial intelligence. Artificial intelligence powered robots can automate many construction tasks. Shortage of labor is a concern that the industry has been grappling with for a long time now. It is not that everyone in the country is employed or is in business. There is a shortage of relevantly skilled labor. Robotics solves the labor problem. Robots are also not going to head for a strike or call for unreasonable increases in wages. There is no need to incentivize either. Robots have become much more reliable in the last four to five years. Autonomous machines can now be entrusted with complicated operations, from digging to transporting materials or assembling heavy equipment to setting up prefab pieces. Robotics is not limited to appliances, machines or equipment. There are facilitating roles too. Drones are now being used more extensively, from the initial inspection of a site to surveying the entire landscape, supervising construction to generating insightful data that can be analyzed for a myriad of purposes. 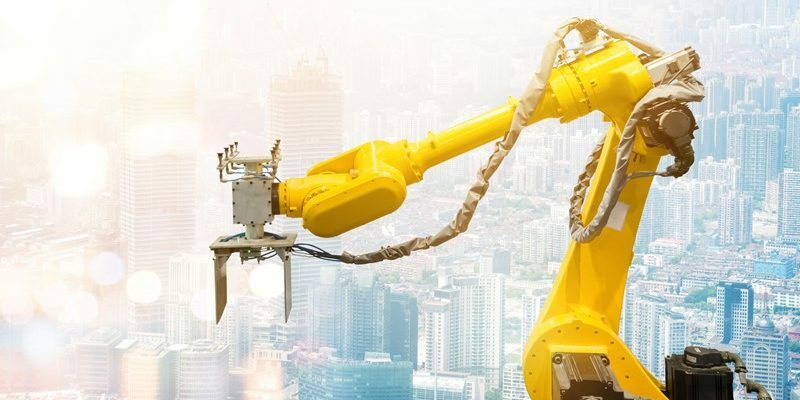 Robotics powered by and working in conjunction with other elements of artificial intelligence is solving many pertinent issues plaguing the construction industry. Virtual reality does have some relevance in construction. More relevant is augmented reality. Architects, engineers and project managers can use augmented reality headsets or devices to view the construction in progress, impose different objects in a real setting and visualize how things will shape up if things go as planned and expected. This imposition is an insightful and revelatory exercise. There can be real time changes as and when needed. Faults, if any, in the process of construction or mistakes being committed by some in the workforce can be proactively identified and remedied. There can be timely reviews of the work in progress and a certain degree of certainty can be established with the help of augmented reality. The internet of things is further simplifying the jobs of the experts in the construction industry. Smart sensors can be used for fascinating assessments. Potential issues can be detected. Technical faults can be easily identified and even preempted. The internet of things basically has the potential to turn every device into a smart gadget. Cameras, actuators and sensors can be used to obtain data in real time that has hitherto been only in the realm of science fiction. Project managers will have much more control on every process with big data made available in real time. The managers do not need to work on the compiled big data. Algorithms powered by artificial intelligence can study the data and come up with analytical reports to provide necessary insights. There are simplified inferences for managers to understand a situation and take appropriate and affirmative action. Artificial intelligence, including augmented reality, robotics and the internet of things, does not rest. It operates round the clock. It contributes to enhanced safety, more efficiency, unprecedented accuracy and effective management of the workforce, assets and time. The aforementioned three ways are not the only impacts of artificial intelligence in the construction industry. The future holds many more pleasant disruptions.